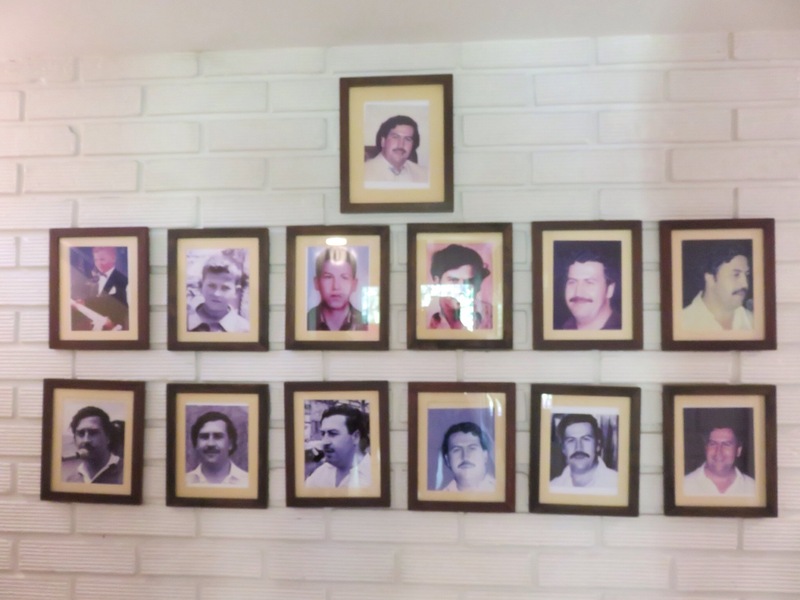 If you were to ask a Colombian about the Pablo Escobar tour, chances are they wouldn’t have a clue what you are talking about or they will not understand why you would want to participate in such a thing. 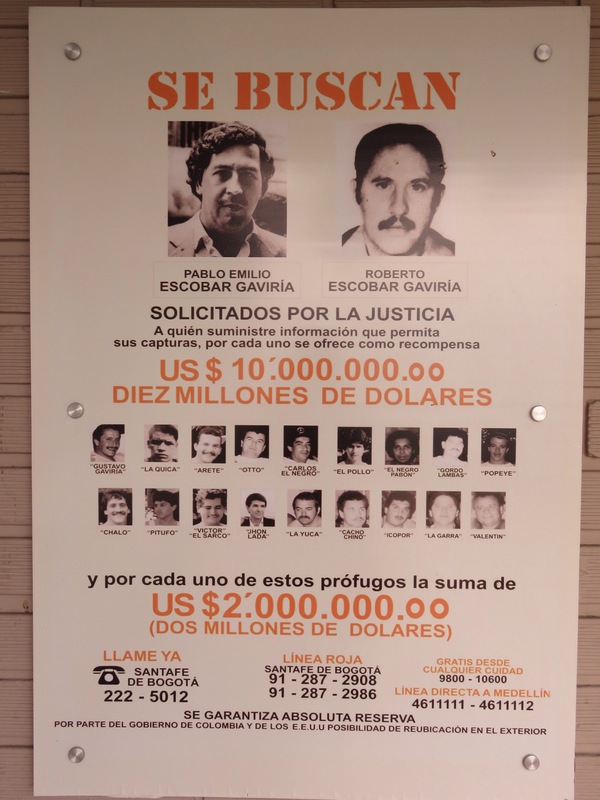 From the time I have spent in Colombia so far my take on it is this; the poor people in Colombia saw Pablo Escobar as somewhat of a hero, a Robinhood kind of figure. He gave them money, built churches, built an entire neighbourhood and sponsored the good Colombian soccer players to keep them from going overseas. The good things he did were definitely outweighed by the bad and the other half of Colombia saw him as the devil. One Colombian, said his mum thinks he was literally a demon. Our tour guide said that for every good thing Pablo did, he did 25 bad things. 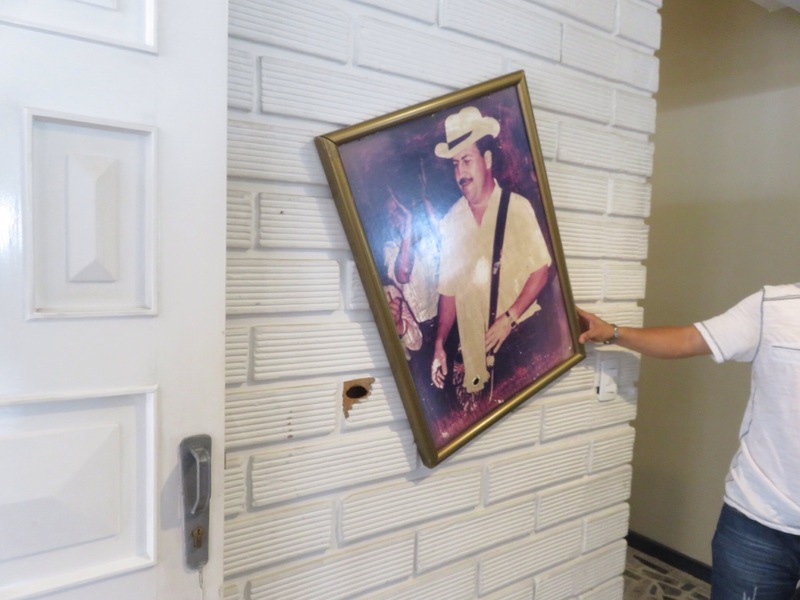 As far as I’m aware, there are two Pablo Escobar tours you can do in Medellin. One is run by a company that only tells you of the bad things he did and the other one is a company that is owned by Roberto Escobar, Pablo’s brother which is a more objective tour that tell you the bad and the good and will finish off in Roberto’s house. We booked our tour through our hostel (The Pitt stop) and without knowing what we were getting we ended up getting the company owned by Roberto, which I am very happy about. 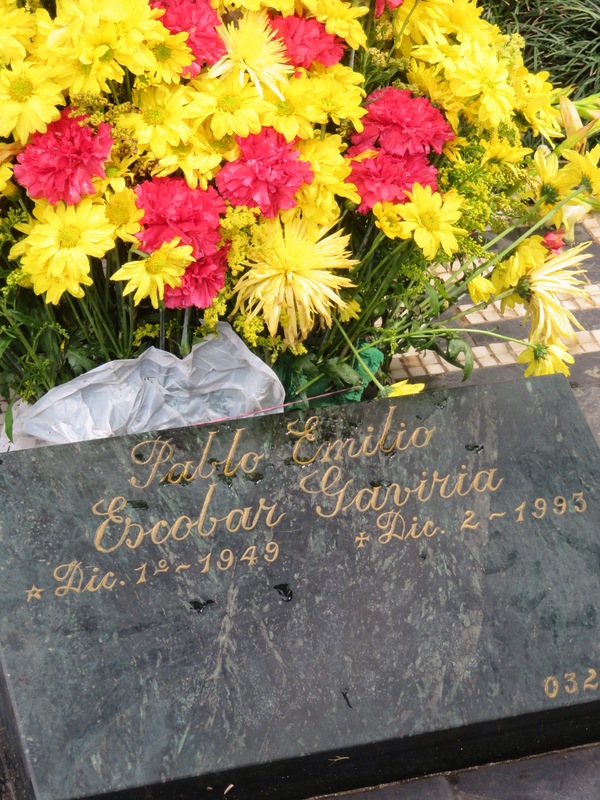 The tour started off by visiting Pablo Escobar’s grave. Standing at the grave of a criminal, a mass murder and the person who basically made the drug history of Colombia what it is, was an extremly weird feeling. It made me feel very uncomfortable. We also saw the grave of “THE BLACK WIDOW” – another awful person. If you have seen the documentary Cocain Cowboys, you will know who I am talking about. If you haven’t seen it, I suggest you do as it will blow your mind! We then drove past one of the many buildings Pablo blew up before finishing up the tour in Roberto’s house. At this point I still had no idea that this was where we were going, until we entered the gate and there he was standing ready to shake our hands as we got off the bus. Again, this was another really weird feeling. I am standing in the house of the brother who murdered and ruined millions of lives, I’m shaking hands with a criminal who spent 15 years in jail and has probably seen and done many horrible things. We had a tour of the house where Roberto lives and Pablo spent his last 8 days hiding out before he was eventually killed on a rooftop 5 minutes away from this house. We saw the bullet holes all over the house that had only happened five years ago and we got to see Pablo’s car, jet ski and family photos. We also saw medals from Robertos professional bike riding days. This house is like a mini museum. The tour ended with a cup of coffee and a chat with Roberto himself. After Pablo’s death, a letter bomb was sent to Roberto which exploded in his face and saw him spending the next six years in hospital having many surgeries. Rumour has it that it was the Government who sent the letter. Now, Roberto has one fake eye, 10% vision is his other eye as well as trouble hearing and smelling. Despite all this and his horrible past, he is now an extremely sweet and kind old man. When asked if he now enjoyed his life he said that he has enjoyed every single bit of his life, the good and the bad. Some of the money he makes from the tour company goes to his organisation that is helping to find a cure for AIDS, something he said they are very close to doing. When asked why he is so passinate about finding the cure for AIDS he said he stumbled upon it by coincidence. He was once trying to find a cure for his horse which had a similar disease and that sparked his interest into forming the organisation for finding a cure for AIDS. 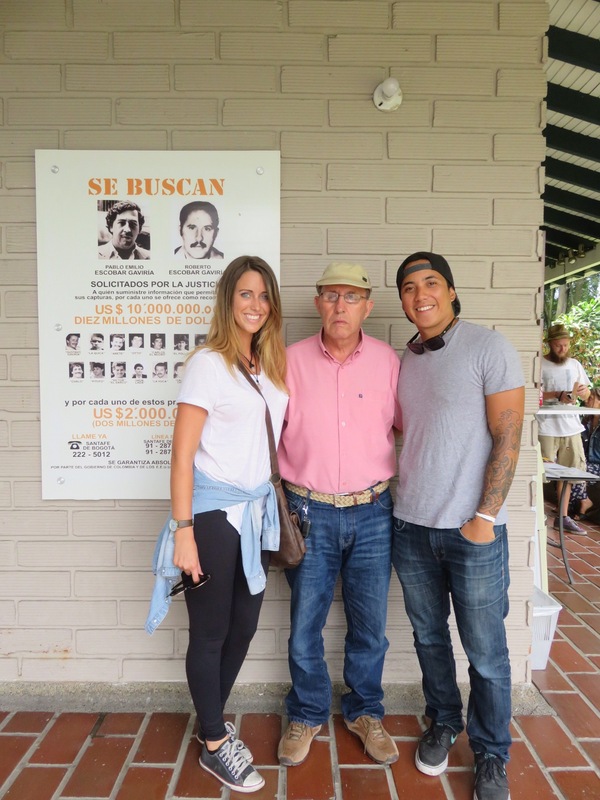 I’m glad I did the tour as I learnt a lot about Pablo Escobar and the major effects he had on Colombia, especially Medellin and its people. From being the most muderous city in the world to being voted the most innvoative city in the world in 2013, it’s so amazing and inspiring to see just how far Medellin has come since it’s horrible past. Colombians do no let this history define them and they are some of the most humble, friendly and happy people I have seen. If you should ever find yourself in Medellin, this is something you should be adding to your list of things to do. Hi! Can you tell me the name of the tour company you went with for this tour? I’m in Medellín and would love to check this tour out 🙂 Thanks!